The joy of commencement extends beyond the graduates to their family and friends. 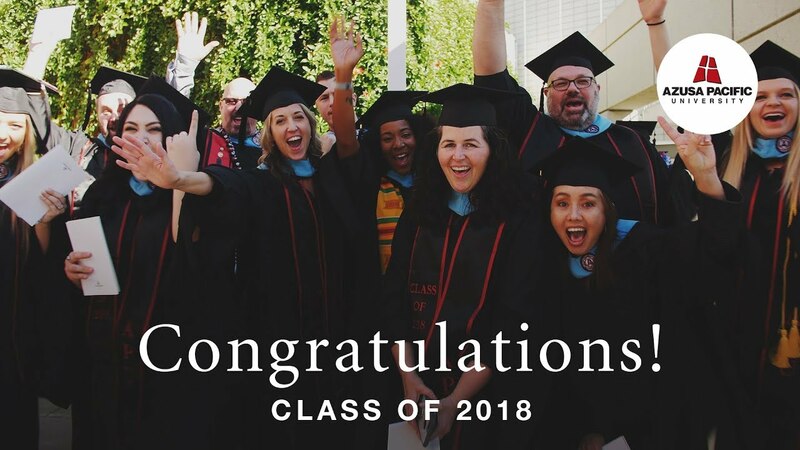 The events leading up to graduation day are thoughtfully planned to provide an appropriate transition in the social, academic, and spiritual journeys of our students. Join us as we honor our graduates! Commencement ceremonies will take place May 4 at the Cougar Athletic Stadium on West Campus. Tickets are required for attendance and parking, or you can watch the ceremonies live on APU’s Facebook page. Please be advised that photographs and video will be taken at the event for use on the Azusa Pacific University website and in the press, APU marketing materials, and other university publications. By entering this event, you consent to the university photographing, filming, and using your image and likeness.